My tournament fishing partner is my 15-year-old daughter, Ivy. God brought Ivy into me and my wife’s life when she was only three years old. Her mother had developed cancer and passed away shortly thereafter, her father wasn’t ready for the job. Proudly after a short time we were able to adopt her and welcome her as our daughter. Ivy is a “daddy’s girl” and loves the outdoors. She has always loved to fish and as she got older we added camping to our fishing trips. When she was 11 we decided to fish in our first bass tournament. We had planned to fish in a small tournament. I got the tournament date wrong but had already made the camping reservations and taken time off work. 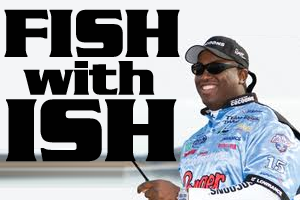 Fortunately we were able to find another tournament, a Fish For A Cure tournament, so we excitedly signed up since it was something Ivy could relate to. 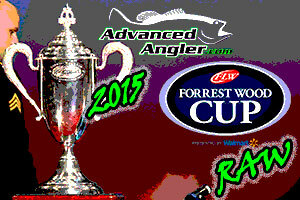 At the time I had an 18 foot aluminum hunt/fish boat, and we had no idea the tournament would have 116 boats. Needless to say I was quite intimidated in the only aluminum boat surrounded by a field of 21 foot fiberglass bass boats. Tournament morning was an amazing site to see for the first time. All 116 boats had their lights on, a light fog was on the water, and a sunrise in the background silhouetting the boats is an image not soon forgotten. We only caught one weighable fish that day but the smile on Ivy’s face when she proudly presented our lone fish at the weigh in was priceless. From that point on, we were both hooked on tournament fishing! Our home waters are Pickwick Lake, a top notch fishery but the water conditions can be treacherous at times. The aluminum boat ride in even the normal boat traffic combined with light winds can be uncomfortable to say the least. The next year we were able to purchase a used Bass Cat Puma from a local pro staffer and started our first full tournament season. 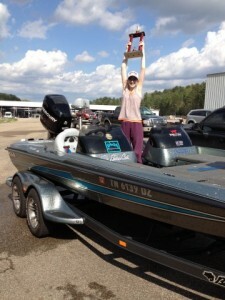 That year and the next I fished in an adult tournament series and Ivy and I fished in an adult/youth series. Ivy filled in for my adult partner when he was unable to make it. We never won a tournament but we did have some very respectable finishes. We both learned a great deal each time out on the water and still do to this day. Several local experienced tournament fishermen have taken us under their wings and have been extremely helpful in shortening our learning curve. That said, we still have much to learn. Now comes more on the kids have a way of making us rethink things statement made earlier. I come from a competitive sports background. I played sports my whole life and went to college on a football scholarship. I like to win, we all like to win; and most of have fun when we win, or so I thought. Ivy and I were pre-fishing for an upcoming tournament, it was early fall and we were looking for schooling fish. We had fished most of the morning with Ivy catching the only fish. I happened to see baitfish breaking the surface so we raced over to see if we could catch a few of the bass that were causing the commotion. excitement on Ivy’s face was unmistakable. We both caught fish after fish for 30 minutes, I looked at her and said I know this is fun but these fish won’t win the tournament, then the disappointment in her face was unmistakable. I begrudgingly told her that today I would be fun Dad and tournament Dad would just have to wait. don’t care about winning nearly as much they care about just spending quality time with you. Admitting I had been doing everything wrong was a tough pill to swallow. I came to the quick realization that if I continued to be tournament Dad I wouldn’t have a daughter as a tournament partner for long. For the few remaining tournaments that year, I made a conscious effort to be more relaxed with her on the water. I found that instead of telling her how and what to do, let her have input, and by just making suggestions she was much more responsive. She noticed I was making an effort and in return she tried harder herself. The following year; in 2012, Ivy and I discovered the Kids First adult/junior tournament series and decided to fish a tournament with them. 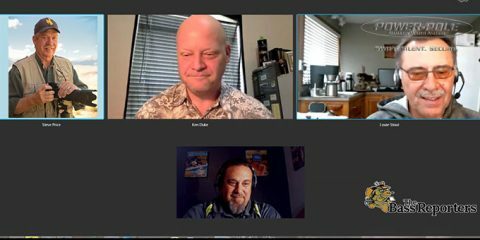 After briefly talking with the founders, Tim Escue and Keith Hughes, and listening to the pre-tournament briefing I knew we had found our new series. That day instead of just retying Ivy’s lure I did the tournament day unthinkable, and stopped fishing showed her how, cut it off, handed it back, and coached her through doing it herself (it had been several months since she had tied a knot). Instead of getting frustrated, I took extra time to explain how and why throughout the day. When she knocked a four pounder off with the landing net, I said we’ll get them next time. Not only did we have our most fun day together out on the water, we also got our first tournament win! Ivy has developed into a great fisherman. She has mastered fishing the shaky head and has been dubbed the “Shaky Head Queen.” She continues to get better on the water and has on occasion put more fish in the boat than I. She regularly catches the biggest fish in our boat, and has saved us on tournament day on more than one occasion. I was so impressed with the idea behind Kids First and how it was run I volunteeredto help however I could. Tim and Keith took me up on the offer and asked me and another competitor Wesley Crotts to join with them for the 2013 season. 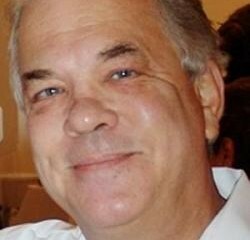 Shortly thereafter Tim who had been in seminary was assigned to a new church out of state. We were happy for Tim, but disappointed at the loss for Kids First. 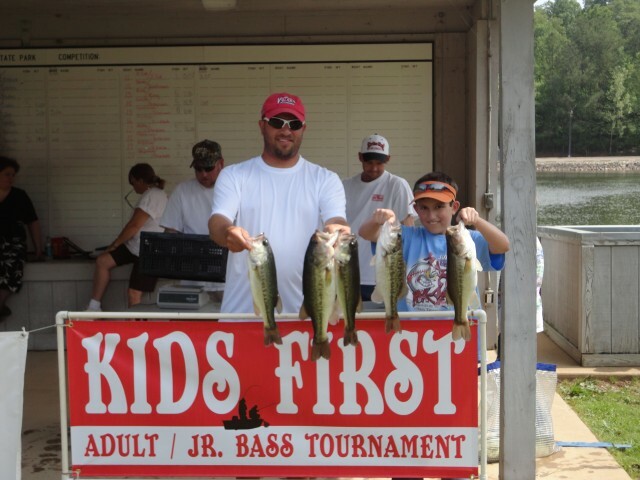 Keith, Wesley, and I now organize the Kids First events all of which are held at Pickwick Lake. The idea behind Kids First is to provide an outlet to strengthen the relationship between adults and their children in a unique tournament format. We provide a competitive, yet friendly and relaxed environment that focuses on the kids first, which is uncommon to most tournament series. Kids First is also a great outlet for mentoring opportunities. We have grandfathers and grandchildren, Uncles and nephews, family friends, and even a youth minister that brings a different youth church member to each tournament. The adults and youth fish as a team and weigh their best five fish. 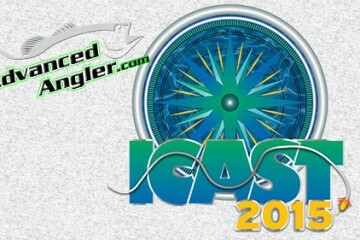 We have competitors that are seasoned tournament fisherman to those that are fishing a tournament for the first time. Competitors have boats that range from 16-foot aluminum flat bottoms to brand new 21-foot fiberglass models. Our tournaments are about the kids, so tournament experience nor expensive equipment is required. Our entry fee is kept low ($25 per boat) and there are no membership dues to allow most anyone that wants to compete a chance to do so. There is no minimum age to compete but we recommend the youth be able to actively fish for a majority of the day. Kids First is a not for profit group and has a 100% payback at the ramp the day of the tournament. Through industry support and anchor sponsors Strike King Lure Company, Hammer Rods as well as Bandit Lures, Jewel Bait Company, Hog Rustler, Craw Cane, Vicious Fishing, Bill Dance Outdoors, and local business and individuals contributions every youth competitor has been able to take a grab bag home usually valued as much or more than the entry fee. We also hold door prize drawings at each weigh in. This year with the help of The Bass University and Roger Stegall Guide Service we introduced the What Would Jesus Do Sportsmanship and Citizenship awards. This season we also formed a FLW/TBF youth fishing club. The club status allows the youth that are interested to be able to fish at state, regional, and national events for college scholarship money. It also provides additional insurance for all those involved with Kids First tournaments. Kids First also held two jig tying seminars and a father’s day gift floating key chain craft project after weigh in’s this year. The upcoming 2014 season will be Kids First fourth year, we will continue to bring a professional unique adult/youth series. 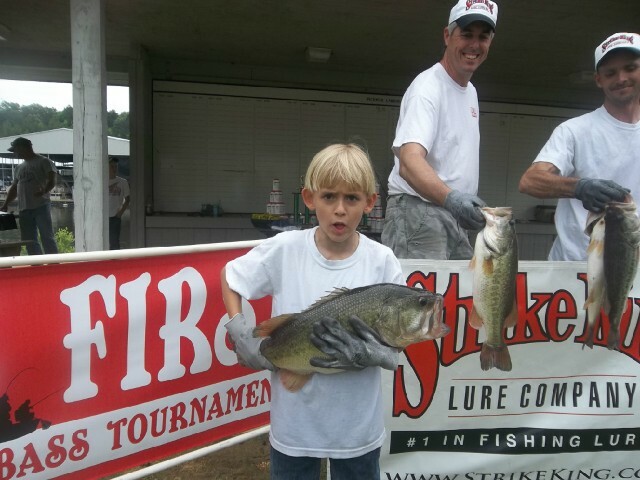 Kids First had an average of 12 boats in 2011, 20 boats in 2012, and in 2013 we had 34 different kids and their adult partners fish with us throughout the six tournaments. We anticipate continued growth in 2014 and are working to expand our participation. 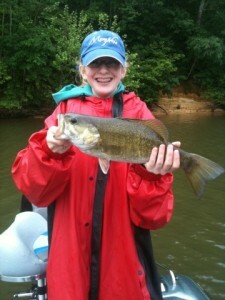 Be sure to stop by our website www.kidsfirstfishing.com for the latest updates and information. Even if you are not in the mid-south area stop by our website and look at the photos page at all the kids smiling faces, it will be sure to brighten your day. Take a youngster fishing, it doesn’t matter if it’s a tournament or fun fishing. You will make lifelong memories and develop a stronger bond all while sharing with them something you love. I have great memories of fishing with my daughter but some of the best quality time is spent on the ride to the lake. We talk about things she would never bring up in front of Mom. We talk about life, relationships, politics, education, and just about any other subject imaginable. Ivy is in high school and has many school activities that she is involved in, but she always makes time to go fishing with Dad. In just a few short years, Ivy will be going to college making every ride to the lake a cherished memory. If you have any questions or want to find out more about Kids First please send me and email at Heath@KidsFirstFishing.com.